Providing you the best range of physiotherapy & sports tapes and laser needle system with effective & timely delivery. 3B Kinesiology Tapes are made from cotton rayon fiber and are latex-free and hypoallergenic. 3B Tapes are for kinesiology taping, acutaping and sports taping. 3B Kinesiology Tapes have a skin-friendly, thermoplastic wave-like acrylic adhesive on one side. The wave like adhesive is used to push sweat and moisture away from the kinesiology tape. This means that 3B Tapes are water resistance, air-permeable and do not come off in the shower, pool, or sauna. They can be stretched lengthways by approximately 30 - 40%. 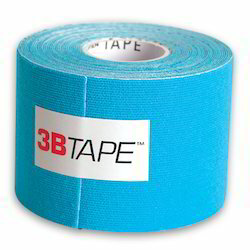 3B Kinesiology Tapes, Blue rolls are 5m x 5cm (16’ x 2” in.) in length. 3B Tapes are used in kinesiology taping treatments of muscle fascia, tendonitis symptoms and performance enhancement by the natural process of improving circulation and lymphatic drainage. 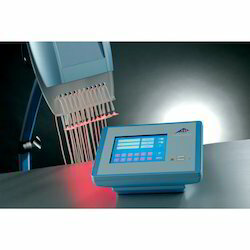 3B Laser Needle, red laser light. The entire 3B Laser Needle System is delivered in an elegant metal carrying case. The instrument can be set up in just a few minutes in accordance with a simple modular design principle without a service technician. A technical safety inspection is only necessary every 2¤years. Additional 3B Laser Needle versions on request.